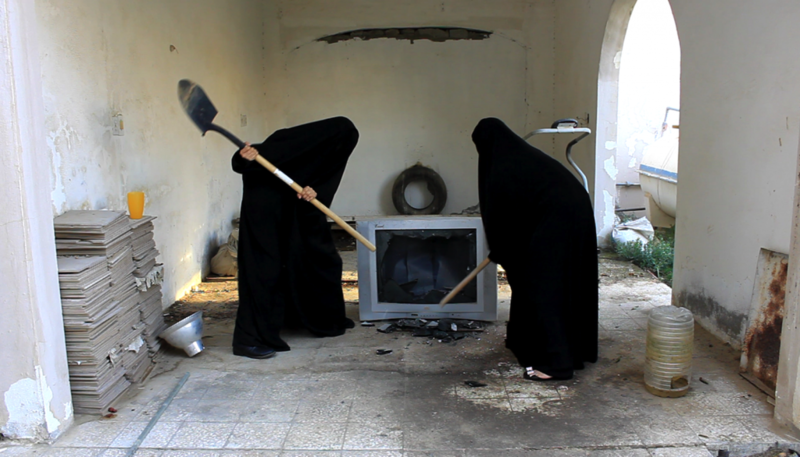 Sarah Abu Abdallah works primarily with video and film as a medium. She grew up in Qatif, Saudi Arabia has an MFA in Digital Media at the Rhode Island School of Design. Recent participations include include Prospectif Cinema Filter Bubble in Centre Pompidou, Paris, Private Settings in the Museum of Modern Art in Warsaw, Arab Contemporary in the Louisiana Museum of Modern Art in Denmark, Migrating Forms in NYC, the Serpentine Galleries 89plus Marathon in London, the 11th Sharjah Biennial 2013, Rhizoma in the 55th Venice biennale 2013. Contributed to Arts and Culture in Transformative Times Festival by ArteEast, NYC and the Moving image panel on Video + Film in Palazzo Grassi, Venice. See her catalogue of work on Vimeo here. 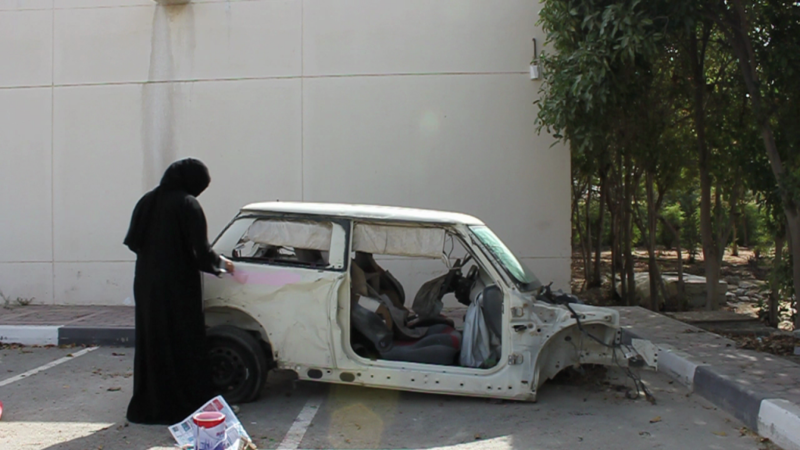 Saudi Automobil, 2012 depicts Sarah Abu Abdallah painting the shell of a wrecked car with light pink paint, a gesture of defiance against Saudi Arabia’s prohibition on women drivers, which makes mobility the exclusive privilege of men. After sweltering in her abaya under the hot sun, Abdallah finally retreats to the passenger seat, reflecting her place in Saudi society. For the exhibition ‘Soft Power’ Abu Abdallah installed the painted car in the gallery space, further emphasising the limits of her rights to vehicle ownership. 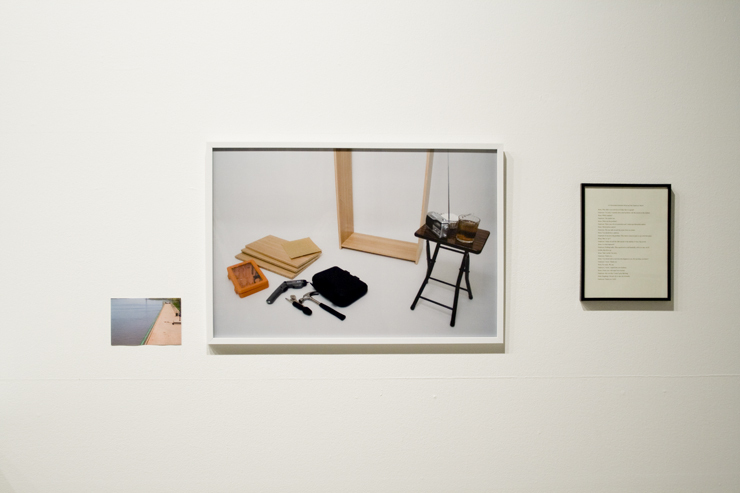 Sifting through the absolute, the predefined, constructs of anxiety, and the absurdity of the agreed-upon in a time of excess, in her work The Salad Zone, 2013. How does one place one’s coordinates in the physical, metaphysical, and the digital citizenry? It is said that the gravitational forces exerted by the planets affect the circulation of human bodies and emotions as much as they affect the oceans. Youtube and google image search help to assemble an uncomfortable space for a question spanning practices of compulsion and purification. Continuing on a previous question of how in a hyper-connected world, does one place one’s coordinates in the physical, metaphysical, and the digital citizenry. Sarah Abu Abdallah’s series q-VR, draws a mental collage using the everyday, references to virtual reality and old photos of the artist’s father in his youth to make up a fictional world through images. In her work The Turbulence of Sea and Blood, 2015, we see disarrayed glimpses of multiple narratives such as that of: familial domestic tensions, a juvenile dream of going to Japan, the tendency to smash TVs in moments of anger, and eating fish. 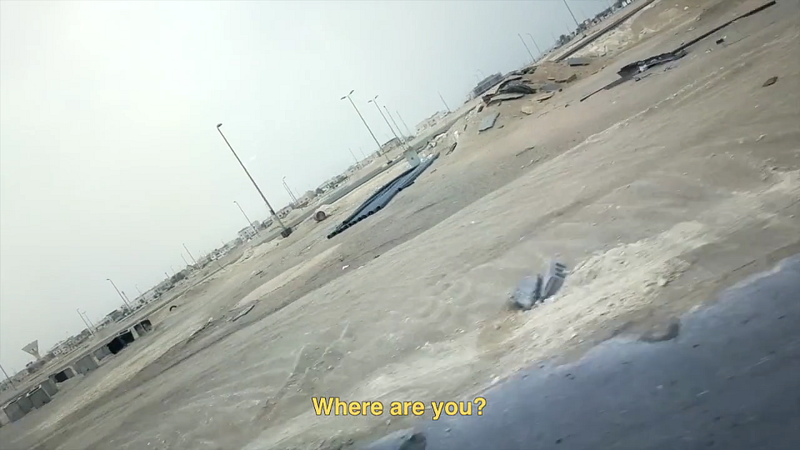 While using scenes from the artist’s surroundings and life in Saudi Arabia, like streets or malls, it never attempts to provide the whole picture, but takes a rhizomatic approach to tell a story of the everyday life. Ari Benjamin Meyers artist, born 1972 in New York, is an American composer and conductor working in the experimental, electronic, new music scene in Germany. He is also active in the field of contemporary art. While primarily known for his work with the ground breaking dance club-orchestral mash-up, Redux Orchestra, he has also worked with many other artists most notably Einstürzende Neubauten and Anri Sala. Other collaborators include Dominique Gonzalez-Foerster, Anri Sala, Tino Sehgal, La Fura dels Baus, The Residents, raumlabor.berlin, Ricardo Villalobos, Staatsoper Dresden, Staatskapelle Berlin, Solomon R. Guggenheim Museum New York, Morton Subotnick and The Orb. Meyers’ catalog includes operas, music for plays, dance, and film as well as music for diverse chamber ensembles. As evidenced by his arrangements for the live performancesRedux Orchestra versus Einstürzende Neubauten, Meyers’ work often takes the form of productive sabotages: he constructs and deconstructs musical situations and deliberately plays on the expectations of a given audience. 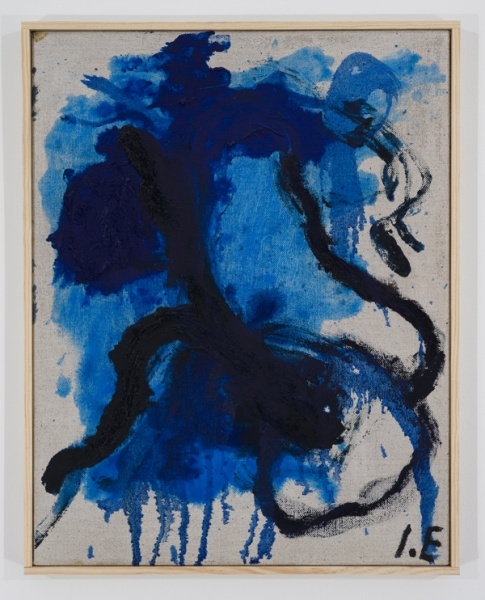 Although personally distancing himself from the term “Crossover”, his work is often discussed within that context. For this exhibition, Ekblad used the museum as her studio, producing more than 30 works in situ. These new works improvise a performative architecture out of industrial debris, found objects and shopping carts. Reference to John Chamberlain and Anthony Caro can be noted as Ida Ekblad present her version of scrap-hunting sculpture. As the shopping charts where rolled onto canvas and paint, each shopping chart has its own specific painting which is displayed later as a series of large scale paintings along the walls. 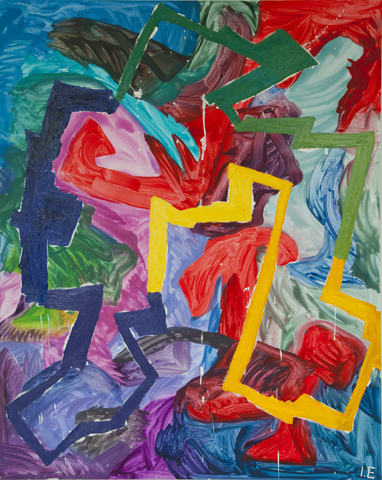 Also exhibited was Ekblad’s paintings of the past five years, in particular, are courageous demonstrations of the relevance and feasibility of an expressive artistic gesture. She works in a variety of media. Painting, sculpture, installation, performance, and poetry, simultaneously and without hierarchical distinction. Ekblad works in a process-oriented manner, and her approach is often described as spontaneous and fearless. She creates installations, sculptures and collage- and assemblage-like pieces from fragments and objects that she finds along the roadside and at construction sites nearby the places she is working. Things that have apparently lost their value and been thrown away often acquire a new meaning by being re-used in a work of art imbued with other qualities and connotations. Ida Ekblad (b. Oslo, 1980; lives and works in Oslo) is educated at the Oslo National Academy of the Arts, 2007, and at the Mountain School of Arts, Los Angeles, USA, 2008. Still an emerging artist, Ekblad has already received international recognition participating in museum exhibitions around the world. The exhibition is a collaboration between the National Museum in Oslo, Kunstmuseum Luzern and De Vleeshal, Middelburg. It is accompanied by a 160-page catalogue published by Distanz Verlag, Berlin, with poems by Ida Ekblad and contributions by Fanni Fetzer, Andrea Kroksnes, Quinn Latimer, and Barry Schwabsky. Nasjonalmuseet presents Ida Ekblad’s first extensive museum exhibition. The exhibition continues the museum’s series showcasing younger Norwegian contemporary artists. For ‘Surrounded by Squares’ Dave Hullfish Bailey and Nils Norman have each constructed elaborate sculptural installations. Both relate to education and ecology, design theory and the creative industries, as well as to the site of Raven Row. Dave Hullfish Bailey has generated polygonal sculptural forms by feeding patterns of information about Spitalfields’ history of dissidence into 3-D design software used by contemporary architects to model high-rises. Under the shadow of the encroaching financial district, Bailey suggests that alternative models may exist for the ordering of space and information. Nils Norman is interested in the way corporate culture absorbs what is outside itself, aping innovations from the ecological movement and the playscapes of alternative education, and transforming ideas about collectivism and sustainability into those about management of people and quick profit. For his installation, Norman has designed ‘a prototype workspace for the creative classes’, a hybrid object using amongst other things, aquatic filtering systems, a rocket oven and an arid garden. Dave Hullfish Bailey (1963, living in LA) has had solo exhibitions at Secession, Vienna in 2006 and CASCO, Utrecht in 2007, as well as at Mesler & Hug Gallery in LA, where he also teaches at Art Center. Nils Norman (1966, living in London) has exhibited in major museums internationally including Tate Modern and Kunsthalle Zurich. He is Professor at the Royal Danish Academy in Copenhagen and currently has an exhibition at SculptureCenter, New York. AIDS research: Cured of HIV? In journalism, cynics suggest, three data points are enough for a trend. As of March 4th, AIDS researchers hope two might be sufficient. On that day Deborah Persaud of Johns Hopkins University announced to the Conference on Retroviruses and Opportunistic Infections, in Atlanta, Georgia, that a patient under her care had been cured of HIV infection. The announcement was hedged with caveats (“functionally cured” was the exact term used). But the bottom line was clear. Dr Persaud thinks her patient, a two-and-a-half-year-old girl, has joined Timothy Brown, a man known to many as the “Berlin patient”, as a human who was once infected with HIV and now no longer is. 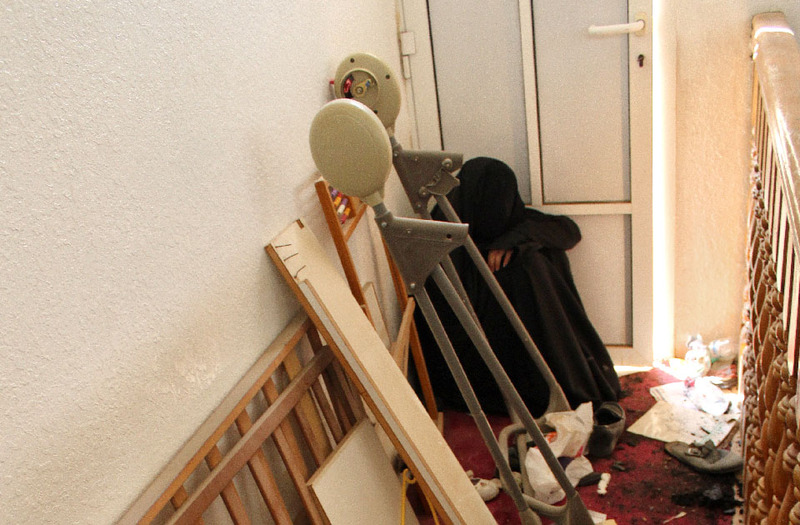 The girl was born infected because her mother was infected but was not under treatment at the time (which would normally prevent mother-to-child transmission). 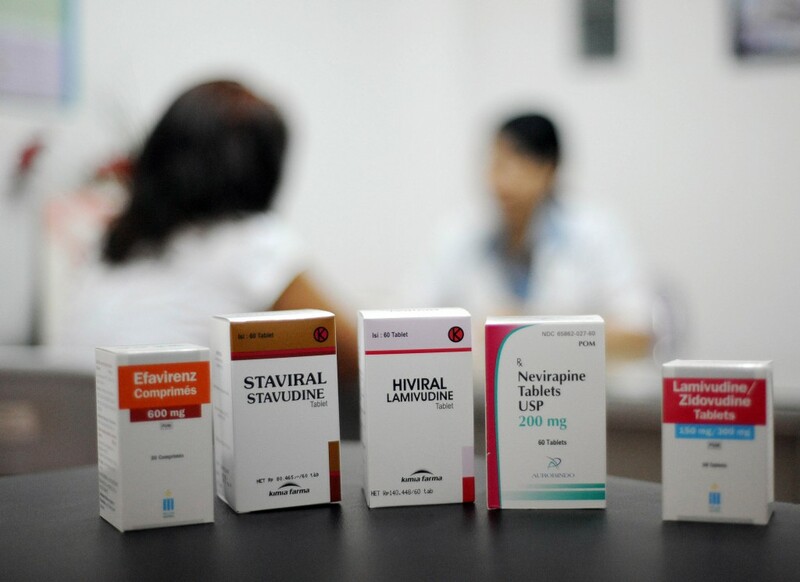 She was given standard anti-retroviral drugs almost immediately and for 18 months afterwards. Doctors then lost track of her for five months and when she returned to their attention, they found the virus had vanished. Half a year later, despite the fact that she is no longer taking anti-AIDS medicine, there is no sign of HIV having returned. This is a result of great potential significance. Mr Brown’s cure was effected because his bone marrow (and thus the pertinent part of his immune system, which HIV infects) was destroyed and replaced during a course of treatment for leukaemia. That is hardly a viable approach for most people. But if HIV infection can be cured with drugs, as Dr Persaud’s observations suggest, a whole new line of investigation opens up. In an attempt to articulate the content of memories and associations, Iman Issa decided to start constructing settings that corresponded to them, settings which she would then photograph. The resulting images ended up constituting the second element in each of these triptychs. In trying to be as precise as possible, the artist realized that the certainty with which she was able to construct and produce these images did not translate to her final photographs, that she no longer recognized her constructions, nor was she certain of their sources. This brought about the idea to approach these photographs in a removed manner – as if they were found or produced by someone else – and use them as a point of departure for another artwork, one which eventually became what is presented here as the third and final element in each of these triptychs. Text: Press release and Catherine Milner, The Telegraph. All images belongs to the respective artist, their galleries and managment.